A Chinese pastor who has been in prison for the past 16 months was admitted to the hospital last month with a serious medical condition. In mid-March, dark, painful lesions appeared on Yang Hua’s legs and continued to spread. Prison doctors gave him painkillers but offered no treatment. A week later, his lawyers managed to have him admitted to a private hospital, where he was diagnosed with anaphylactoid purpura, a condition that causes inflammation of blood vessels and can affect the kidneys, intestines, joints and skin. Yang Hua’s lawyers have filed a request for medical bail so that he can be released from prison during treatment and recovery. Yang Hua is co-pastor of a 700-member church in Guiyang, China. He has been detained since December 2015 on charges of divulging state secrets. Pastor Yang Hua has become critically ill in prison with inflammation of the blood vessels. His legs are swollen and badly ulcerated, and without adequate treatment he may need a double amputation. He is at risk of developing sepsis and other serious complications. 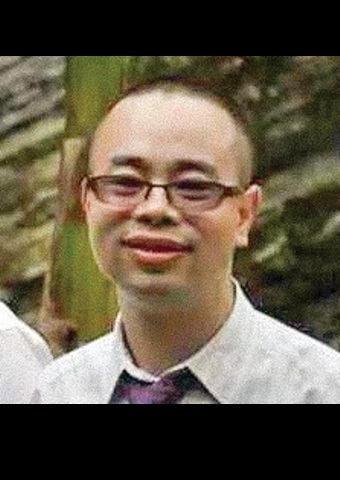 Pastor Yang (41) has been in detention since December 2015, when he tried to stop police from confiscating a hard drive during a raid on Huoshi “Living Stone” Church, Guizhou province. He was charged with divulging state secrets, and in January 2017 was sentenced to two years and six months in prison. On 20 March, one of Pastor Yang’s two defence lawyers went to Nanming District Detention Centre to meet him. Pastor Yang was almost carried into the meeting room by three cellmates and seemed on the verge of paralysis. Three days previously, his legs had suddenly become inflamed and ulcerated, with burning pain and rapidly-spreading festering. The doctor on duty at the detention centre treated it as nothing more than a skin infection and administered painkillers. “On March 17, 2017, ulcers began to appear on my legs. I reported it to the detention centre, but the staff said they had seen this many times before, and that it was nothing more than impetigo [a bacterial skin infection]. On March 18 the resident doctor gave me some medication. By March 19, after the festering had spread, I again requested that the detention centre provide proper treatment, such as injections or an IV. On March 20 and 21, the physician on duty put me on an IV drip. The burning pain was so much at this point, however, that I couldn’t sleep for several nights. From around 3.30 to 4 am on the 22nd, the agony was truly unbearable. I rang the alarm to report to the cadres on duty. Officer Luo, on watch that night, was furious at being disturbed and screamed some truly awful obscenities at me. No one else in the cell was able to sleep, so in the end the physician on duty gave me two painkillers. I haven’t been able to walk or go to the toilet by myself during this period. “On the morning of March 22, the detention centre brought me to the department of dermatology at the Guiyang Sixth Municipal Hospital for a physical inspection. The doctor diagnosed me with a form of allergic vasculitis [an inflammation of the blood vessels], and said that if no treatment could be found one outcome might be high-level amputation [above the knee]. He recommended high doses of penicillin for a fortnight. The detention centre clinic, however, does not have penicillin. “At 2.30 pm on March 22, the detention centre gave me a blood test for HIV/AIDS. On March 23, I was again brought to a hospital designated by the authorities, this time the No. 368 People’s Armed Police Hospital, for a physical inspection. Five physicians were involved but couldn’t come to a final diagnosis. They did, however, recommend that I be taken to a regular hospital for treatment. They also indicated that the cost of treatment might be extremely high. Pastor Yang’s lawyers wrote to the Guiyang Procuratorate asking for a review of their client’s detention and seeking medical bail – they believe his condition is urgent and serious and that he needs to be admitted to a hospital qualified to deliver appropriate treatment as soon as possible. Two prosecutors told one of the lawyers that the case is highly sensitive and said they could only make a decision in consultation with the judge handling the case and with the Communist Party’s Politico-legal Commission. On 24 March, Pastor Yang’s wife Wang Hongwu (pictured left, with her family) accompanied the lawyer to the detention centre, arriving just as the pastor returned from a test at the provincial hospital. It was the first time husband and wife had seen each other since December 2015. She had under two minutes with her husband and they were only able to exchange a few words before police officers intervened. Pastor Yang Hua has been in detention since 9 December 2015, charged with “deliberately divulging state secrets”. On 26 December 2016, Guiyang Nanming District Court opened his trial, which was held in secret; the prosecutor said this was on the grounds that it involved state secrets. On 5 January 2017, the court announced that Pastor Yang had been sentenced to two years and six months in prison. Huoshi “Living Stone” Church is an emerging urban house church that began in 2008 and grew rapidly. It has been subject to constant suppression and surveillance by the authorities. Another of its leaders, Zhang Xiuhong, was arrested in July 2015 and sentenced in February 2017 to five years’ imprisonment for “illegal business operations”. She was chair of the Board of Deacons and church accountant. At the time of Pastor Yang’s arrest, the authorities announced a ban on Living Stone church. Its place of worship, a 600 square metre office space on the 24th floor of a new office building in central Guiyang, was sealed and guarded by security personnel hired by the local authorities. The authorities claim the suppression of the church is a criminal matter and not a case of religious persecution. Pastor Yang’s charge of divulging state secrets refers to the allegation that he posted on the internet a document circulated by Guiyang City’s Peacekeeping Stability Work Leading Group and marked confidential. Titled “The commanding and control centre of Guiyang City to deal with Living Stone Church according to the law“, it was issued in early December 2015. 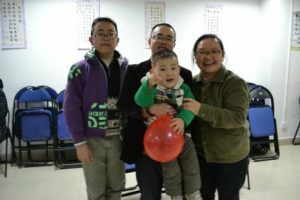 Almost two weeks after his trial on 26 December 2016, Pastor Yang Hua of Living Stone Church, Guizhou, has been sentenced to two and a half years in prison. On the day of his trial, police blocked the road in front of the court and members of the public were barred from entering, according to China Aid. Yang’s wife, Wang Hongwu, was also “forcibly escorted” back to her apartment and police patrolled outside her home the rest of the day. She has said Yang plans to appeal the sentence. Pastor Yang Hua, also known as Li Guozhi, was formally arrested on 22 January 2016 on suspicion of “divulging state secrets”. Charges relating to “state secrets” are often levelled at activists and dissidents and can entail certain restrictions, such as family members not being allowed to attend the trial. . Yang had been placed in administrative detention in December 2015 for “obstructing justice” and “gathering a crowd to disturb social order”, before being put into criminal detention for “illegally holding state secrets”. Church members see this as part of an attempt by the authorities to pressure the church into registering with the state-sanctioned religious association, the Three Self Patriotic Movement, or face closure. In September 2016 Yang Hua’s lawyers revealed that he had suffered from serious health conditions as a result of his ill-treatment in detention. Living Stone Church, an unregistered Protestant church with over 700 members, has experienced increasingly repressive measures by the authorities. A “Rectification Order” received by the church on 18 November 2015 from the Nanming District City Urban Administrative and Law Enforcement Bureau stated that the church’s use of a commercial building was illegal and gave the church three days to respond or incur fines. An application by the church for a reconsideration of the penalty notice was rejected by Guiyang Municipal People’s Government, and several church members have been detained or fined in connection with the case. These developments take place against the backdrop of increasing restrictions on the right to freedom of religion or belief in China. According to RFA, Chinese authorities have prevented thousands of Tibetans from attending an important Buddhist ceremony in India led by the Dalai Lama which will take place 11-13 January 2017. According to the report, the authorities have confiscated passports from potential participants and have ordered those already in India and Nepal to return to China. Also this week, China Aid reports that a Christian woman in Xinjiang has been sentenced to three years in prison after holding a Bible study in her home. After over a year in detention, Pastor Yang Hua’s trial finally went ahead on St Stephen’s Day (26 December). His wife, Wang Hongwu, arrived at the court building at 7.00am but wasn’t allowed to attend. Instead, she was forcibly escorted home by police who patrolled outside her apartment complex for the rest of the day. No members of the public were allowed to attend the trial but Pastor Yang’s lawyers were present. They stated that Pastor Yang was brought into the courtroom by two bailiffs holding his arms. They also reported that the prosecutors presented forged evidence incriminating Pastor Yang.It is not known when the verdict will be announced. After over a year in custody, during which he has faced torture and threats, Pastor Yang Hua has been informed that his trial will be held on 26 December. Pastor Yang is one of the pastors of Huoshi (“Living Stone”) Church, the largest house church in Guiyang, capital of Guizhou province in southwest China. Pastor Yang’s wife Wang Hongwu does not know whether she will be allowed to attend the trial as he is accused of “divulging state secrets”. Pastor Yang Hua, who has been held for more than six months on charges of “divulging state secrets,” has recently received a series of threats from prison officials. Pastor Yang told his lawyer that prosecutors had threatened his life and those of his wife and sons, inflicted physical harm and demanded his cooperation. In a recent letter to his wife, Pastor Yang encouraged her to trust God’s plan and continue doing His will as she raises their two sons alone. Yang and his lawyer are filing a lawsuit against the officials. Please pray for Yang Hua and his family. China Aid Reported in Chinese by Qiao Nong. Translated by Carolyn Song. Written in English by Brynne Lawrence. (Guiyang, Guizhou—Jan. 27, 2015) The lawyer defending a pastor accused of “divulging state secrets” told China Aid that authorities in China’s southern Guizhou province denied his request to meet with his client on Jan. 21, among other instances of interference. Like Chen, Yang’s wife, Wang Hongwu, described disrupted attempts to reach her husband. On Jan. 21, she said that officials were withholding information regarding Yang from her. She attempted to send him money for daily necessities, but none of her efforts reached him. When Wang went to the Nanming Branch of the Guiyang Municipal Public Security Bureau to sign the arrest form, the official who received her refused to answer her questions. Wang also told China Aid that Yang’s charge changed from “illegally holding state secrets,” for which he served time in criminal detention, to “divulging state secrets” once the Procuratorate approved his arrest. Despite these incidents, Wang says her most significant concern is for the members of Huoshi Church, who the police have serially harassed. 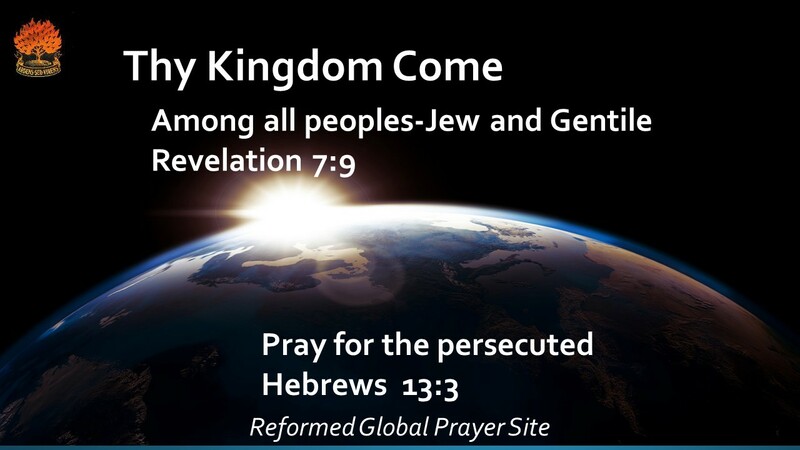 On Nov. 29, 2015, approximately 30 officials interrupted a church service and detained several Christians. Wang said that officials still interview many of the church members on a regular basis, which has impacted the church’s ability to continue its normal activities. Su also reported that the case of Zhang Xiuhong, an incarcerated accountant and the chairwoman of Huoshi Church’s Board of Deacons who authorities accused of “illegal business operations,” has been transferred to the Procuratorate for prosecution. Additionally, authorities imposed a fine that accrued to 110,296 Yuan (U.S. $16,700.00) between Nov. 22 and Dec. 8. They alleged that the church’s members deviated from the approved use of their building, even though the Christians consistently reported all activities. In response, Su filed an administrative reconsideration, but his application was rejected on Jan. 11. “ … [the next step is to] sue,” he said. A translation of the hiring authorization document, in which Su Tianfu commissioned lawyers to represent Huoshi Church, can be read in full below. To learn more about Huoshi Church, please watch the video below. China Aid reports on cases of abuses, such as those experienced by Huoshi Church, its pastors and members, and Yang Hua’s lawyer, in order to promote religious freedom and rule of law in China. The client hereby hires the commissioned to act as the client’s representation in the case of Guiyang Municipal Nanming District Religious Affairs Bureau suppressing the lawful rights of Huoshi Church, of which the client is in charge, which triggered a dispute. To modify or renounce lawsuit requests; 3. To undertake lawsuit requests; 4. To file counter counter-charges; 5. To settle or mediate; 6. To file an appeal; 7. To apply to law enforcement; 8. To receive or carry out the authorization of forms; 9. To sign, send and receive legal documents.